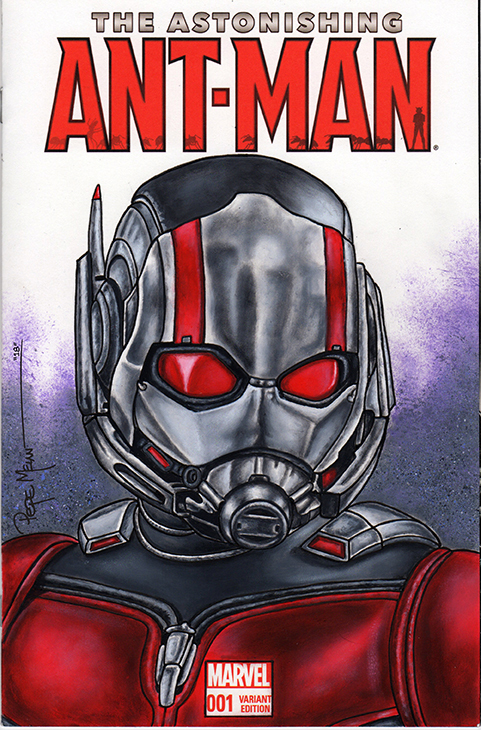 Here is the Ant-Man Sketch Cover finished painting. 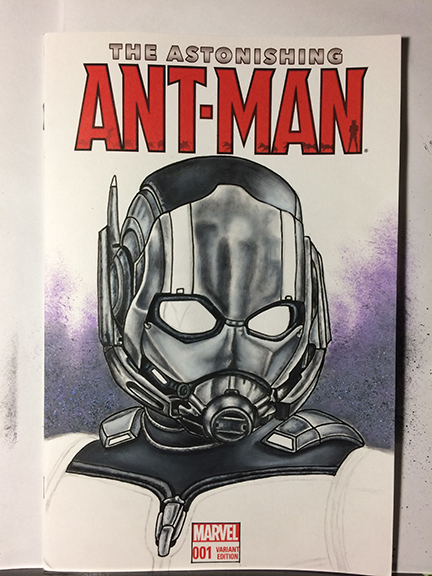 For the final stage of this sketch cover painting I worked on the finished black part of the costume. 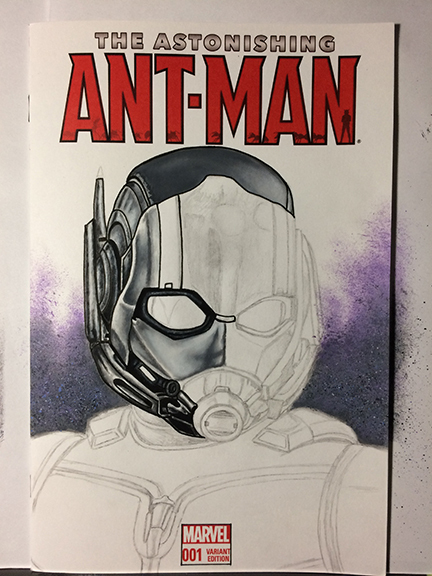 Then went back to the helmet and finished up all the red areas. 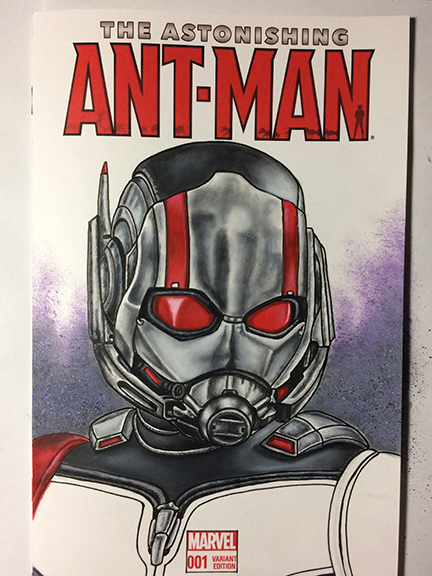 Lastly, I painted the red parts of the costume. The brushes I used for this stage are the size 5 & 10 spotter, size 2 angle shader and chiseled blender. I continued wit the dry brush technique that I talked about in previous posts. Dragging the paint with dry brush also achieves a satin feel to the painting. 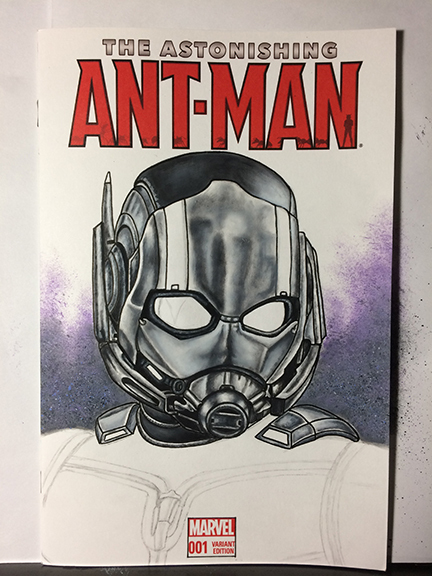 Here is Ant-Man Sketch Cover painting process 2. 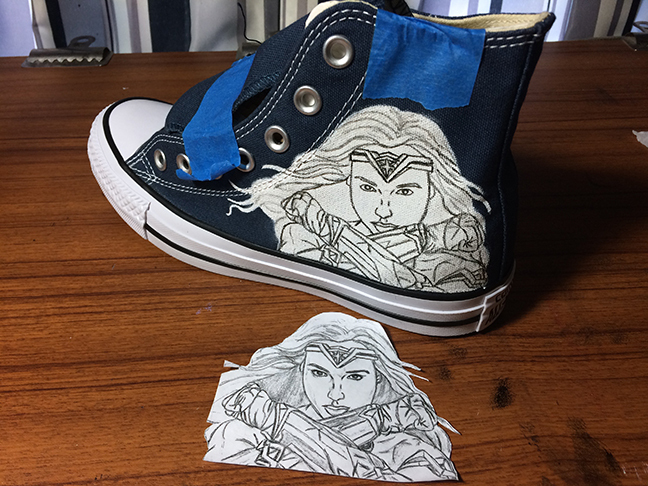 Started the metal painting stage. This stage is achieved with dry brush layering. Going back and forth with adding the darks and lights. The brushes I use for this stage are the size 5 & 10 spotter, size 2 angled and chiseled blender. 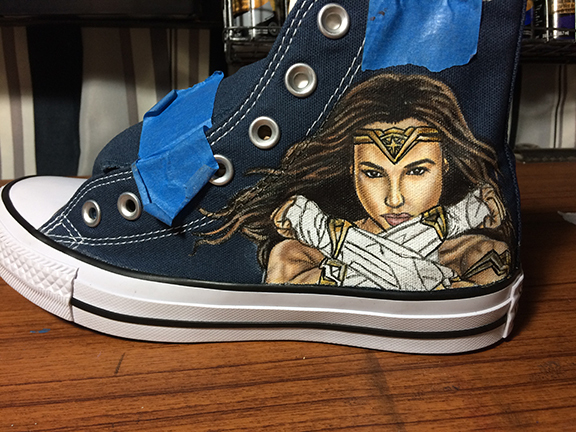 The reason I use dry dry brush technique is it picks up the grain of the paper and you get these subtle imperfections that add value to the overall feeling of the artwork.